Dr. Holly R. Wyatt is Associate Professor in the Department of Medicine, Division of Endocrinology, Metabolism, and Diabetes at the University of Colorado Denver. She received her undergraduate degree for them University of Texas, her Medical Doctorate from Baylor College of Medicine in Houston, Texas and completed her internal medicine residency and endocrinology fellowship at The University of Colorado. She currently is a physician and clinical researcher at The Anschutz Health and Wellness (AHWC). She also runs the Metabolism and Obesity clinic at The University of Colorado Denver where she treats overweight and obese patients. Dr. Wyatt is currently an Associate Director for the AHWC and is in charge of the design and implementation of all clinical programs at the facility. The CCHW will be a hub of activity at the heart of the Anschutz Medical Campus and our city, setting a new global standard for an integrated, cross-disciplinary approach to creating real-life solutions for healthy lifestyles and disease prevention. Dr. Wyatt has extensive experience in weight reduction using behavioral treatment. Drs. Wyatt and Hill developed the Colorado Weigh (CW) program in 2000-2001 to provide behavioral weight management at an affordable price to the general population. CW treats weight loss and weight loss maintenance differently and prescribes different strategies for success. Over 2000 individuals have been through the CW program in the Denver area. 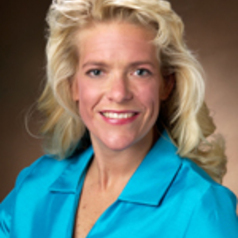 Dr. Wyatt is a nationally known expert and frequent invited speaker on obesity treatment. Dr. Wyatt has been the National Program Director for the Centers for Obesity Research and Education (C.O.R.E.) since 1999. CORE was established to help educate health care professionals on how to manage obesity in their busy practices. CORE merged became a part of the education outreach for The Obesity Society (TOS) in 2010. CORE has educated over 5000 providers since its inception. Dr. Wyatt has received both a National Service Research Award and a Patient-Oriented Research Career Development Award (k23) from the National Institutes of Health to study energy metabolism and metabolic factors associated with weight loss in reduced-obese subjects. Dr. Wyatt’s research interests include measuring resting energy expenditure, fat oxidation, total energy expenditure and activity levels in a weight reduced population. Dr Wyatt also studies how diet composition affects long-term success in weight loss maintenance. She has studied subjects who are losing weight with the Atkins’ (low carbohydrate) vs. a low fat, high carbohydrate diet. She has also investigated diet composition, exercise patterns and breakfast consumption in the National Weight Control Registry.